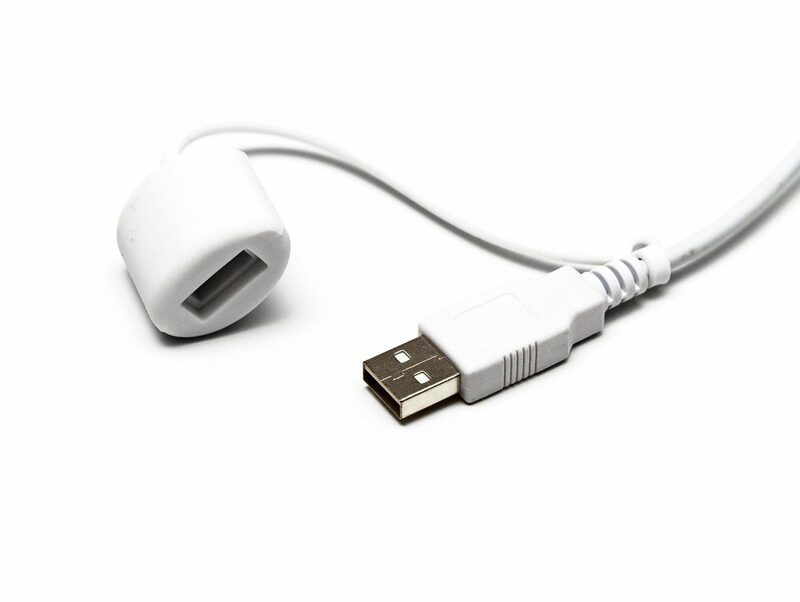 The CleanType® Medical (TKG-110-GCQ-MED-AM-IP68-BACKL-WHITE-USB) is specially manufactured for medical environments. With its versatility, it can be used in almost all areas of hospitals, clinics and medical practices. It is completely waterproof, can be disinfected and has an integrated backlighting. With a nano-silver additive, its surface actively reduces the growth of germs and bacteria. It is also tested and certified for the specific requirements of IEC in the medical sector (IEC 60601-1-2). 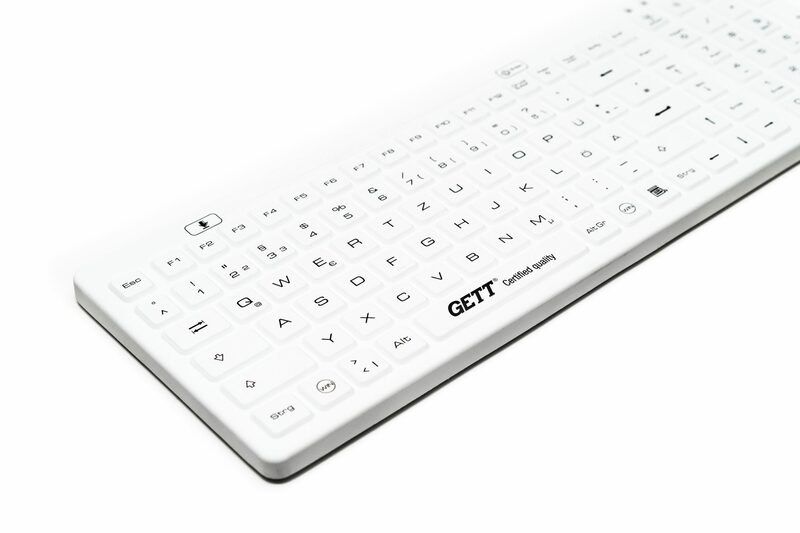 The keyboard is a product of the GCQ series from GETT. 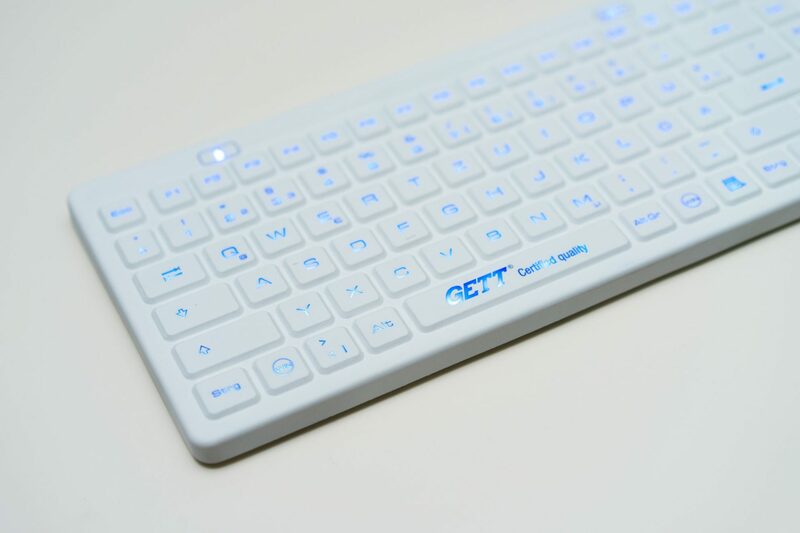 This silicone keyboard is certified for medical applications. This keyboard has an individually adjustable illumination, is completely washable and also completely disinfectable. An additive on the surface of the keyboard actively prevents the spread of pathogens and germs, as these cannot adhere to the surface. With our silicone keyboards of the Advanced and Professional series, you are optimally prepared for maximum of hygiene in sensitive areas. Protect yourself, your staff and, of course, your patients from the spread of germs and pathogens in the best possible way. NanoSilver additive with antibacterial effect. 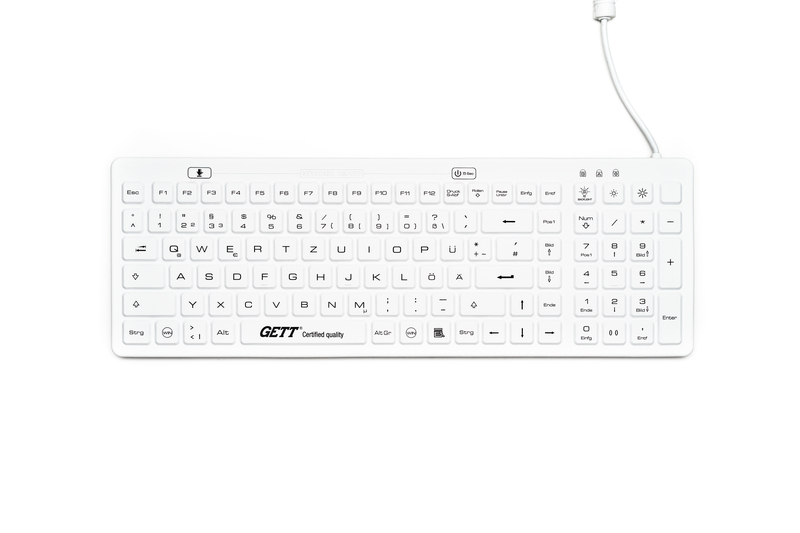 The additive is used to prevent the spread of pathogens via this keyboard.